Diane Wolfe (nee Magiera) a 40 year resident of Ardsley passed away October 17, 2018 at Penn Hospice Rittenhouse Square, Phila. at the age of 64. Diane is the daughter of the late Ludwig and Dorothy (nee Stutz) Magiera, she attended Our Lady of Good Counsel grade school and Archbishop Wood High School where she was a member of the Color Guard, graduating in 1972. After working for Beneficial Savings bank she worked as Claims Examiner for Prudential and Ameri Health. Diane who loved to travel and taste wine was a member of the Philadelphia Zoological Society and was a faithful member of Queen of Peace Church for 40 years. She was a friend to all with a smile that lights up a room. She is the beloved wife of Richard and loving mother of Lexi and Kevin Wolfe. Sister of Rev. Michael Magiera, FSSP, she is also survived by two Aunts; Claire McGeehan (John) and Marie Barnhardt. Relatives and friends are invited to her viewing Monday, 7 to 9 PM at FitzPatrick Funeral Home, 1500 Old York Rd. Abington and to her Funeral Mass Tuesday 10:00 AM at Queen of Peace Church, 820 North Hills Ave. Ardsley. Int. Whitemarsh Memorial Park. In lieu of flowers contribution to the Gift of Life Donor Program, 401 N. 3rd St. Phila., PA 19123 would be appreciated by the family. 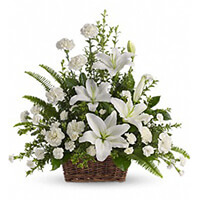 To send flowers to the family of Diane Wolfe (Magiera), please visit our Heartfelt Sympathies Store. Dear Rick and family, I am Marie Barnhardt's neighbor in Jersey. What an inspiration Diane has been to me. Her desire to live life to the fullest has been such a great example to me and my family. As Marie would say, nothing stops her and Rick! Also, Rick, what a beautiful example of what married love is supposed to be! Your constant dedication to your beloved wife is another great inspiration to us all! My thoughts and prayers are with you and your family.